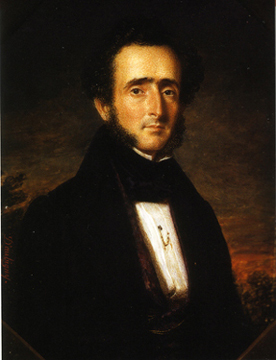 Joshua Lazarus, president of Charleston’s Gas Light Company from 1840 to 1856, was instrumental in bringing gas illumination to the city. A man of wealth and property, Lazarus owned 20 pieces of real estate in Charleston and served as the president of the bank in Cheraw, South Carolina. When Beth Elohim’s new synagogue was dedicated in 1841, Lazarus, chairman of the building committee, presented the congregation with a silver basket likely purchased on one of his trips to England. He became president of the congregation in 1851 and served until his death, in Cheraw, in 1861.